Explore the Pink City of India in this one day Jaipur tour with our professional guides. Learn about the vibrant history of the city which everyone wants to know about. The Jaipur city was built by Maharaja Jai Singh II in 1727. Visit some of the historic places of Jaipur such as Amer Fort, Amber Fort, Hawa Mahal, Jal Mahal and City Palace. This one day Jaipur tour allows you to cover as many places as possible in just one day with a collection of wonderful memories. The tour will start in Delhi, our driver will pick you from the airport or hotel. Drive straight to Jaipur in an air-conditioned car with English speaking driver. 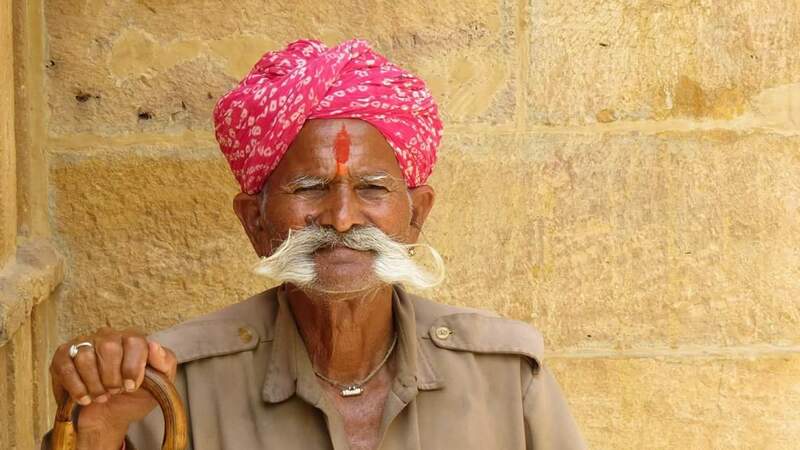 After reaching Jaipur, you will meet a local guide who will accompany you for the rest of the day. Start your tour in Jaipur with the visit to the scenic Jal Mahal as the name suggests this palace is situated in the middle of Man Sagar Lake in the city of Jaipur. To see the beauty of this palace in the lake is just mesmerizing. After this, you will visit Hawa Mahal. This palace is located on the corner of the Jaipur city. After Hawa Mahal, you will visit City Palace consisting of Chandra Mahal and Mubarak Mahal. Chandra Mahal Palace is now a museum, maintaining its royal essence. This palace was built by Sawai Jai Singh II between 1729 to 1732. Later this palace is beautified by Sir Samuel Swinton Jacob and Vidyadhar Bhattacharya, the main architect in the royal palace. In the afternoon, visit the famous Jantar Mantar in Jaipur which is a series of 19 monuments rich in astronomical and architectural equipment. These scientific places are the contribution of Sawai Jai Singh II. It is undoubtedly a great place to visit in Jaipur. Now it’s time to visit the ancient museum in the Rajasthan state. This scenic building is located in the Ram Niwas garden and it was designed by Sir Samuel Swinton Jacob in which he was assisted by Meir Tujumool Hoosein. This museum became public in 1887. This is one of the central museums of government. Visiting this hall will definitely take you in the ancient past of India and it shows the fine artwork of Indo-Saracenic architecture. In last, we will visit Amer Fort which is in Amer, Rajasthan. It is about 11 km away from Jaipur city. People who come to Jaipur generally visit Amer Fort. It is a magnificent example of Rajasthani culture and art. After gathering unforgettable memories of Jaipur city, it's time to drive back to Delhi. Our driver will drop you at the hotel where you stay or he would drop you at the Airport, from where you will go to your home with sweet memories of this joyful one day Jaipur tour.